Home Genaral Knowledge India's G.K General Knowledge For Competitive Exams: India's Classical Folk Dance, Tribal Group, and Classical Language. General Knowledge For Competitive Exams: India's Classical Folk Dance, Tribal Group, and Classical Language. Here 'GK Solve' share some Most Inportant General Knowledge For Any Competitive Exams like SSC, WBCS, WBSSC,CHSL,RAIL,BANK,POLICE,UPSC etc.Readers read carefully. 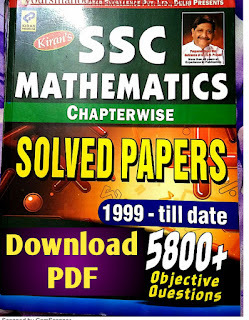 SSC Mathematics By Kiron Sir.pdf Click Here ! · West Bengal: Kathi, Gambhira, Dhali, Jatra, Baul, Marasia, Mahal, Keertan, etc. Bhotias - Garhwal and Kumaon regions of U. P.
Gonds - Madhya Pradesh. Also in Bihar, Orissa and A.P. Khas Jaunsar-Babar area in - U.P. Nagas (Angami, Sema, Ao, Tangkul, Lahora) - Nagaland, some in Assam and NEFA region. Oarons (also called Kurukh) - Bihar, Orissa and West Bengal. This topic Important for Competitive Exams.Classical languages are those which are ancient, of an independent nature and not a derivative of any other tradition. A language must have a history of minimum 1500 years to grant the Classical status. *Five classical languages in the world — Chinese, Sanskrit, Arabic, Greek and Latin.